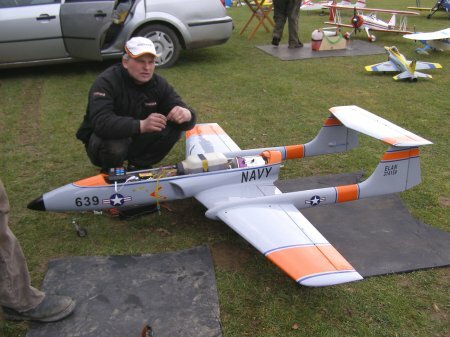 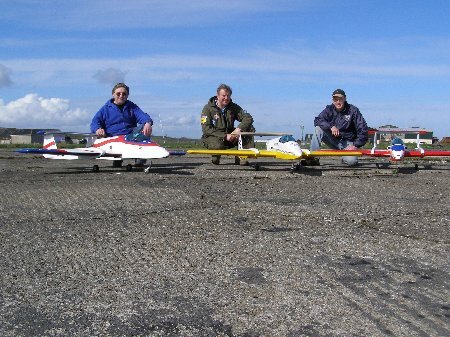 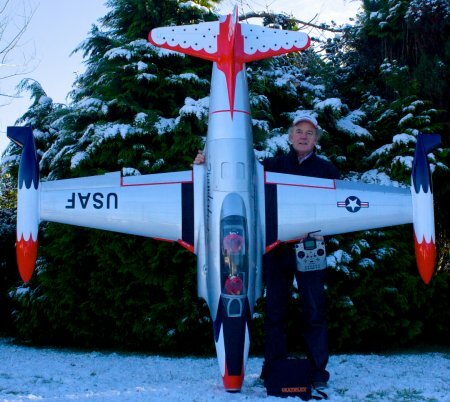 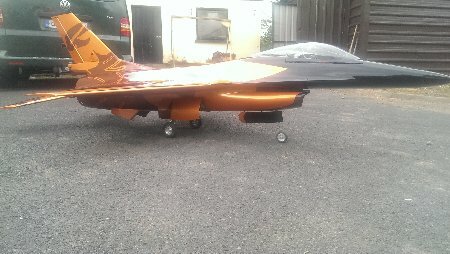 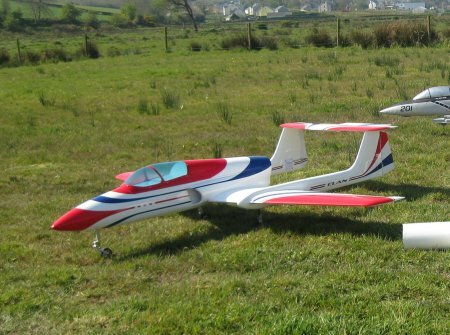 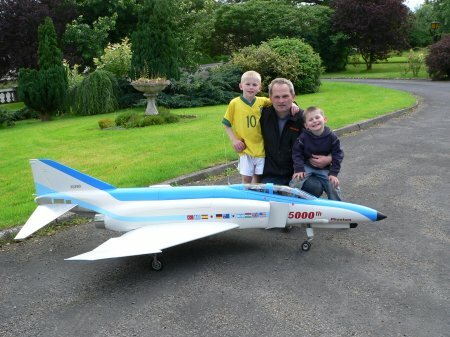 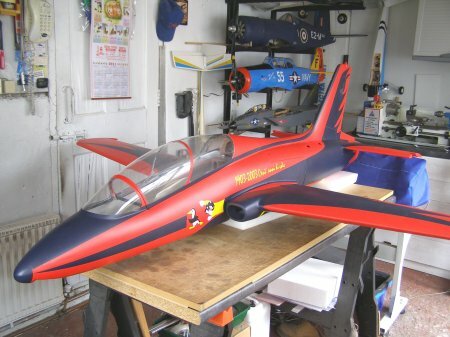 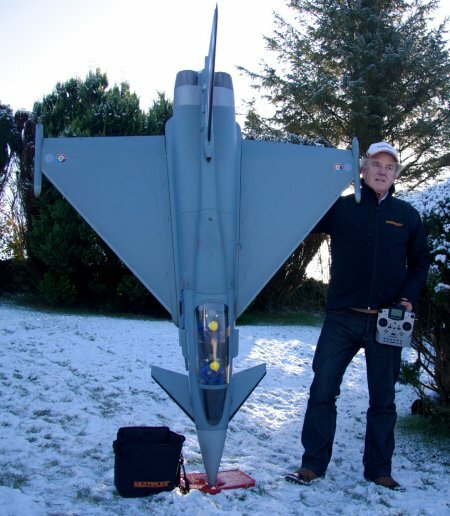 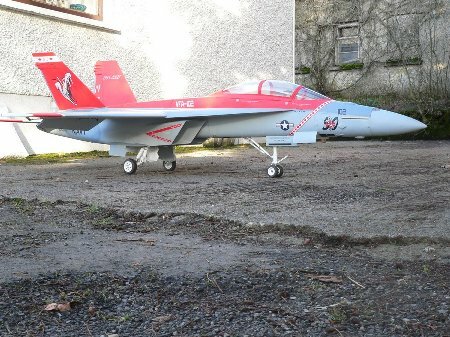 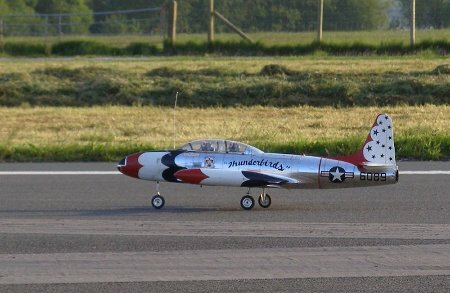 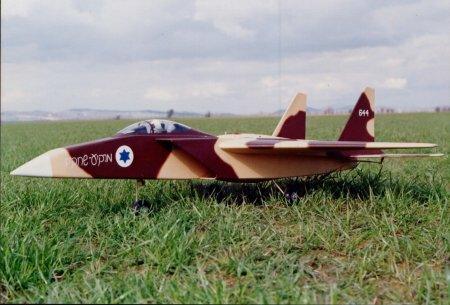 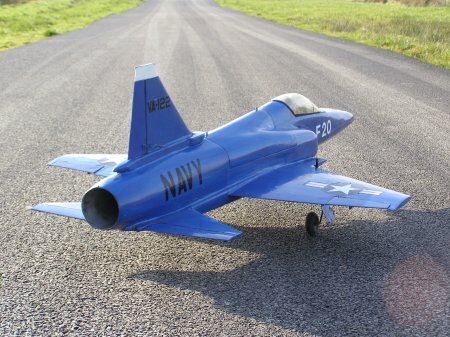 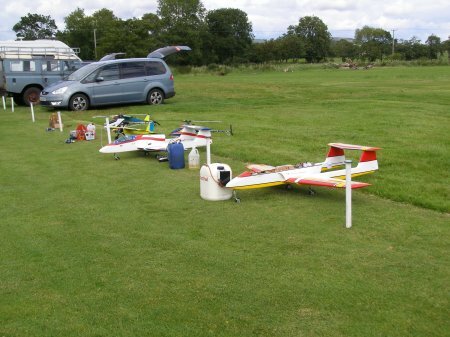 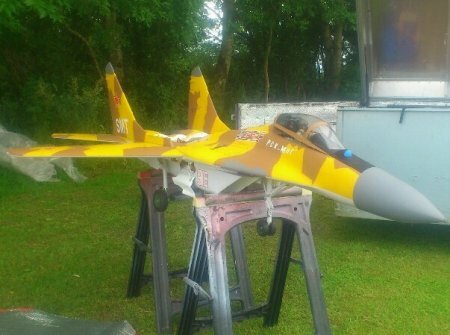 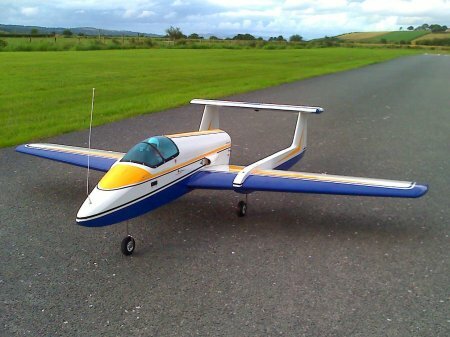 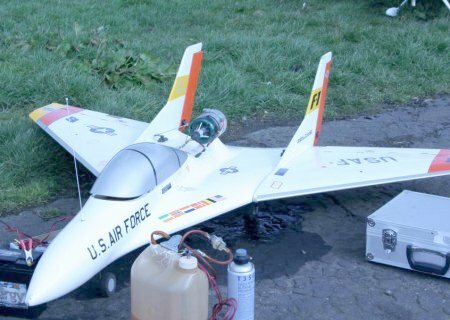 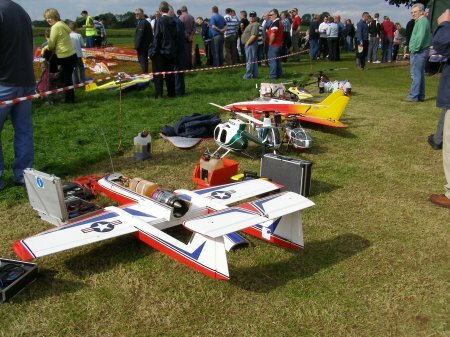 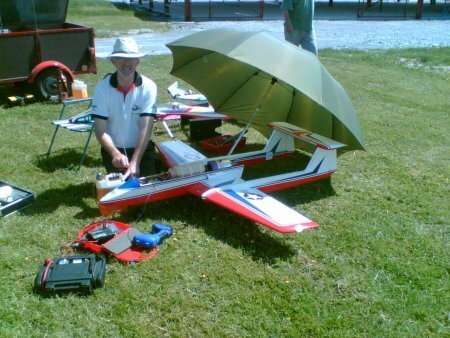 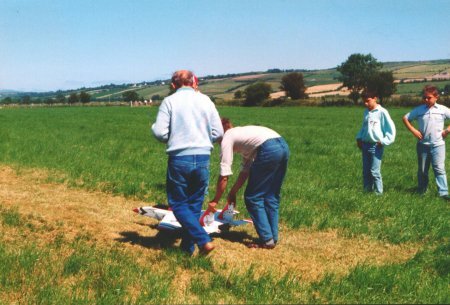 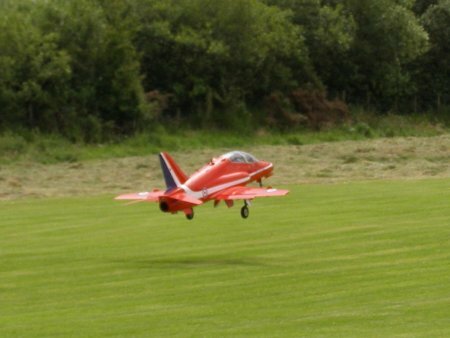 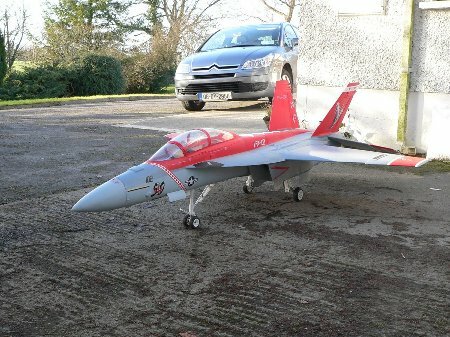 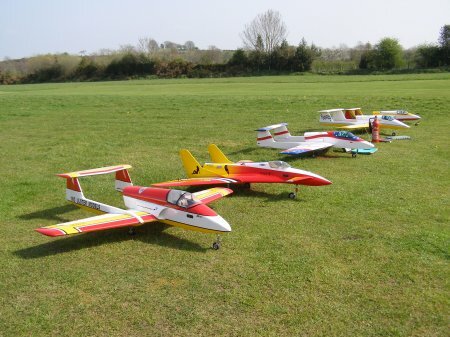 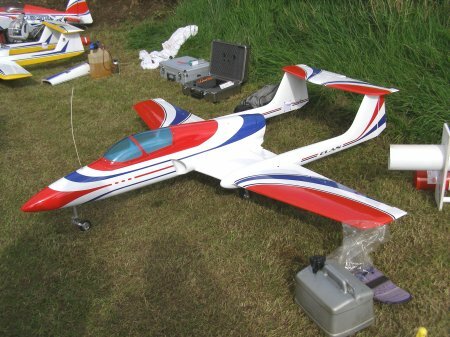 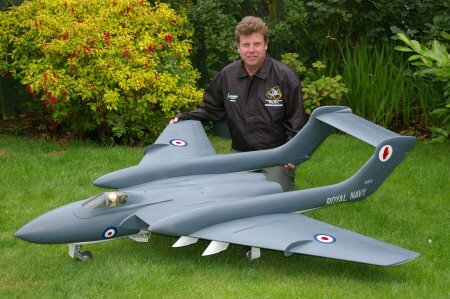 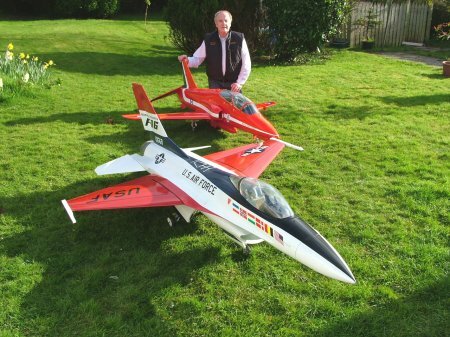 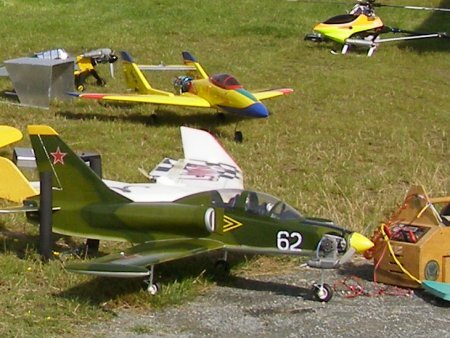 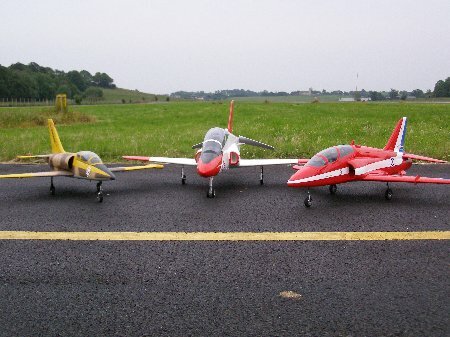 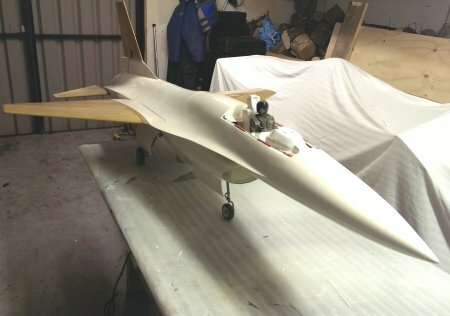 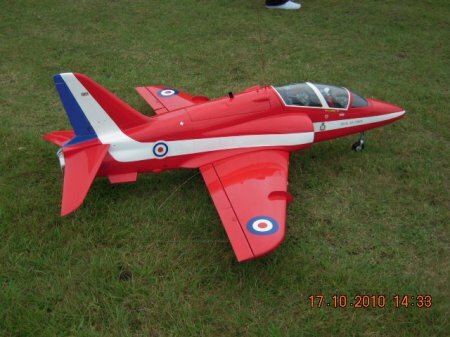 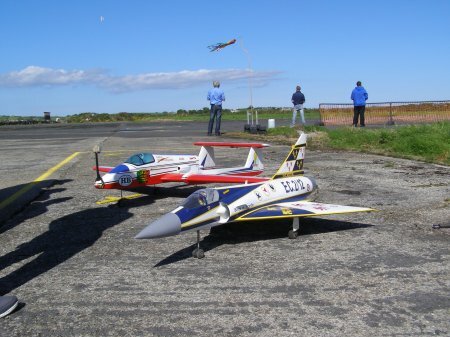 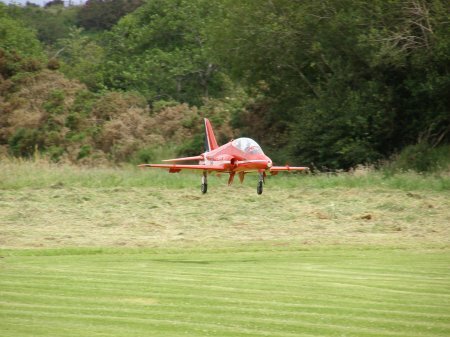 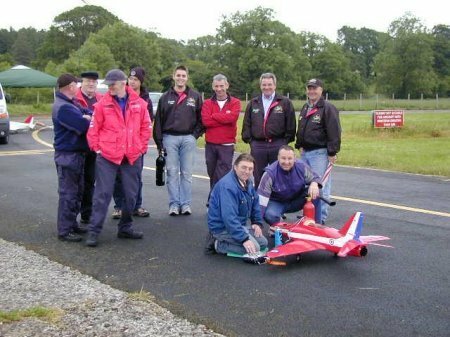 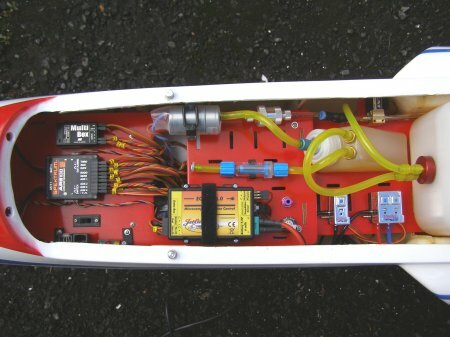 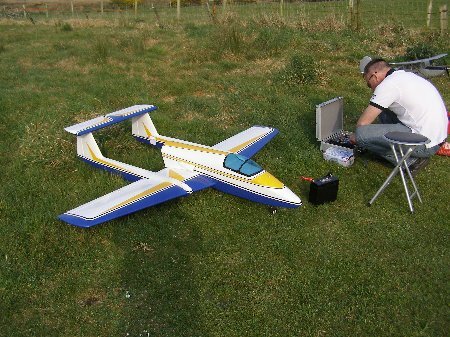 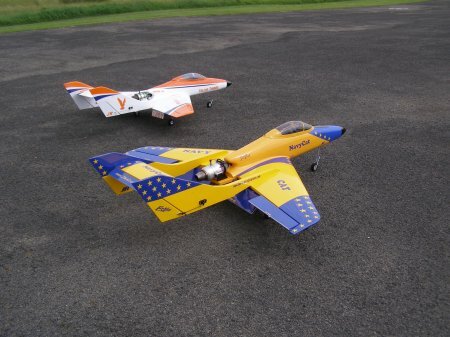 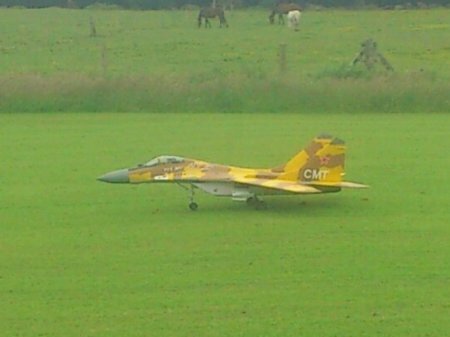 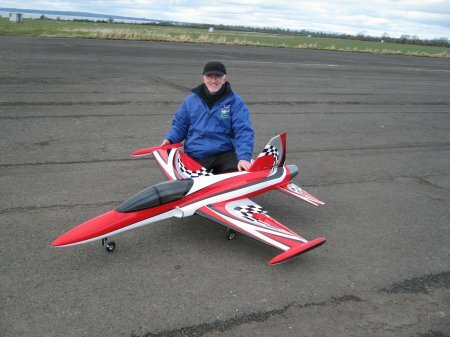 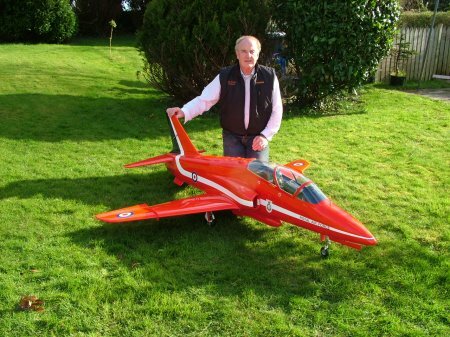 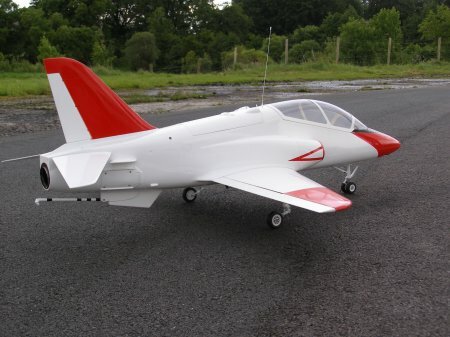 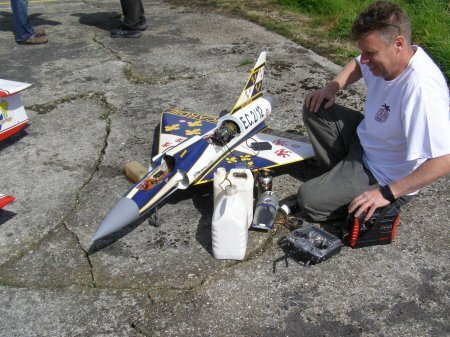 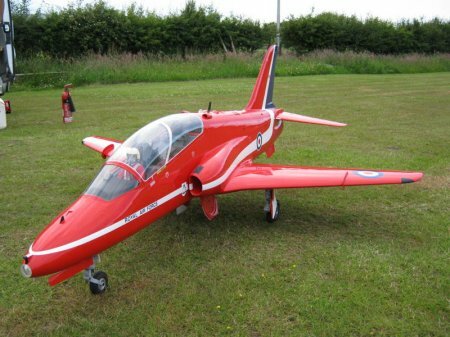 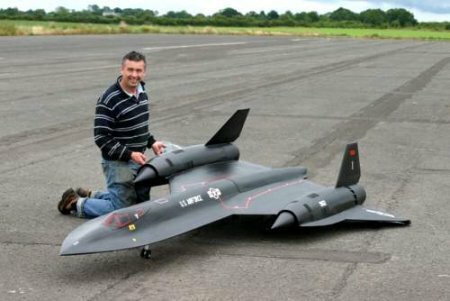 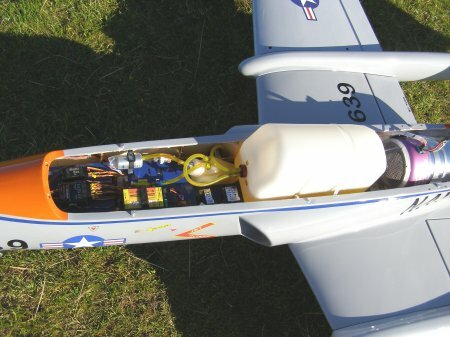 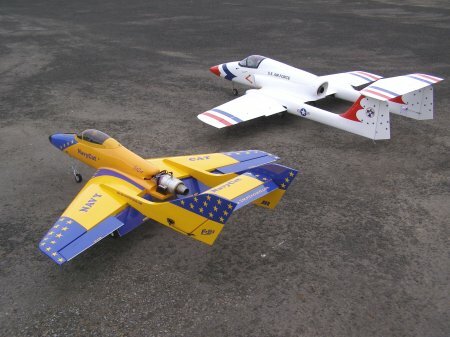 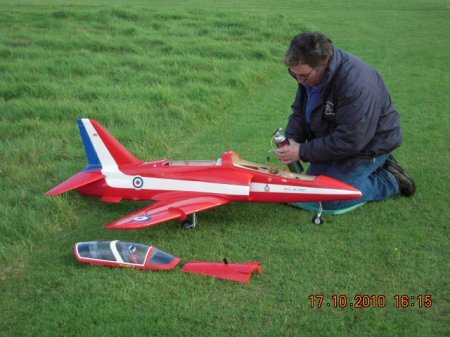 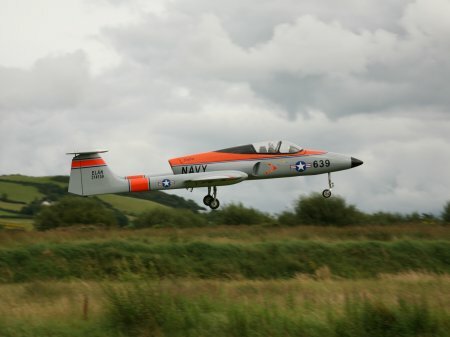 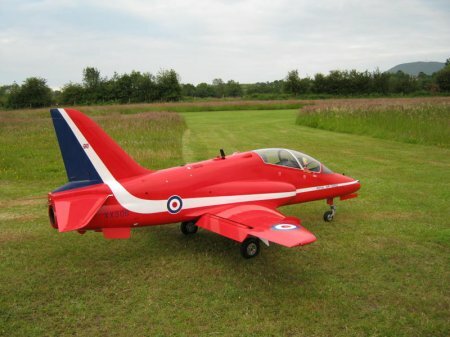 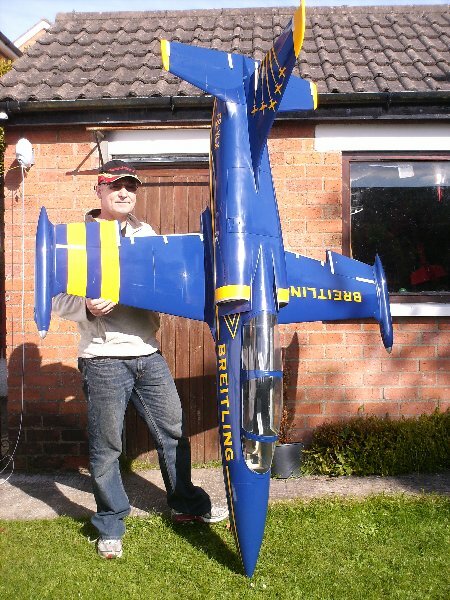 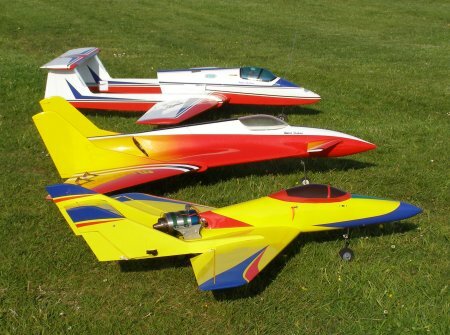 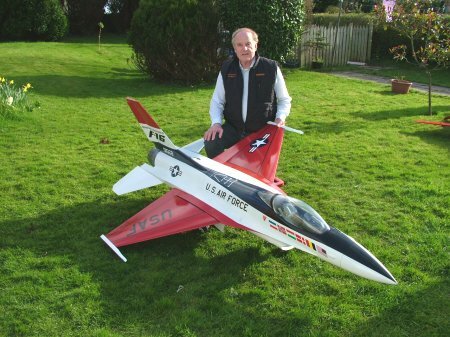 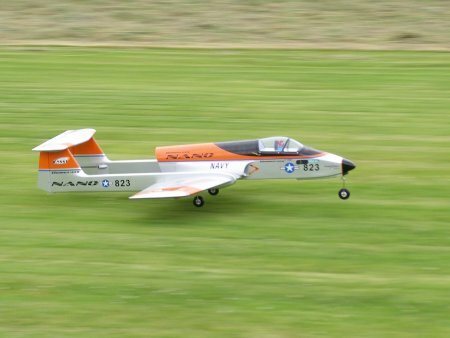 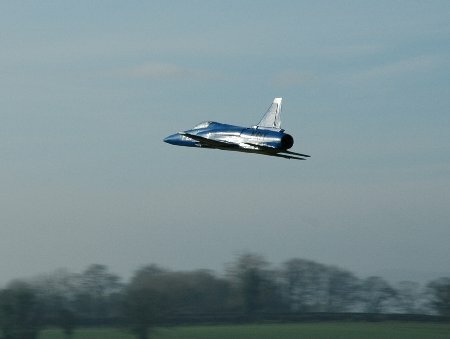 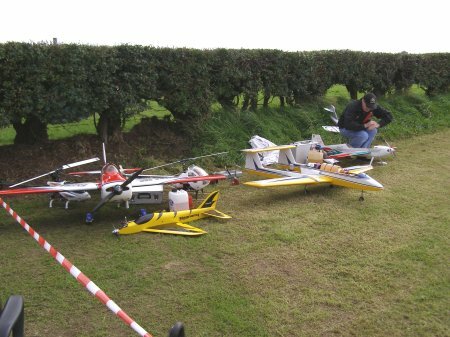 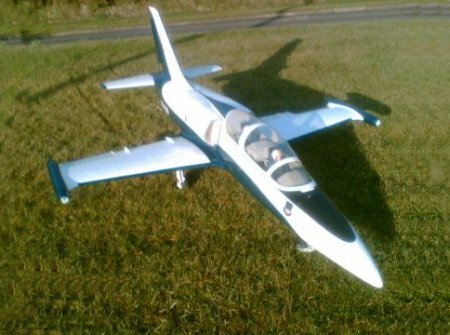 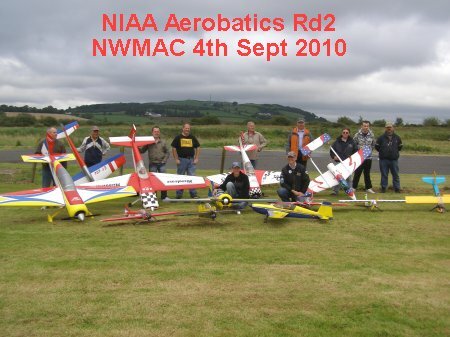 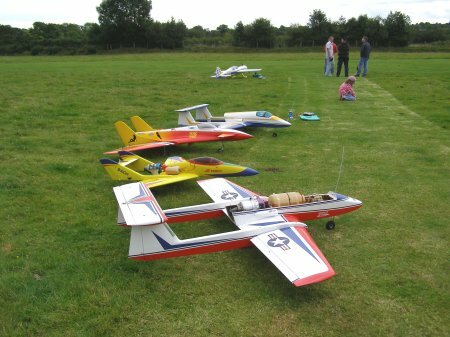 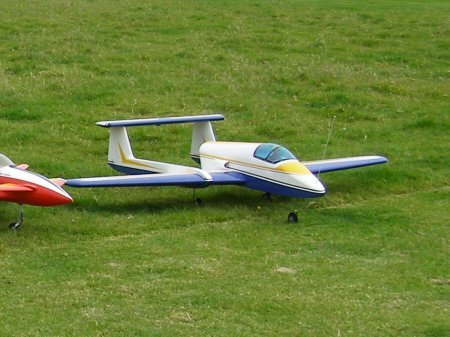 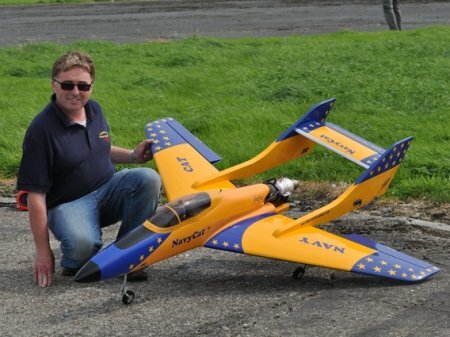 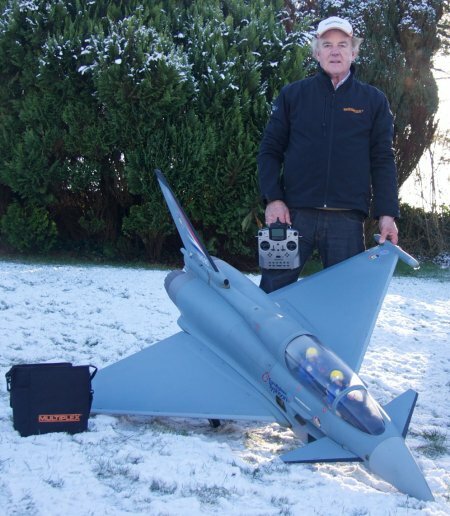 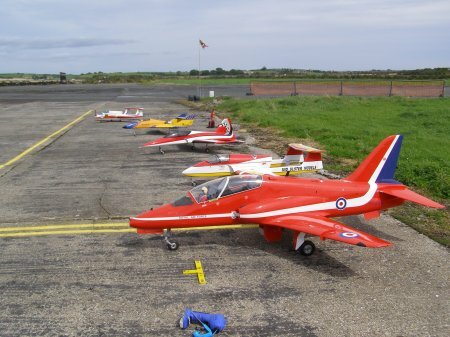 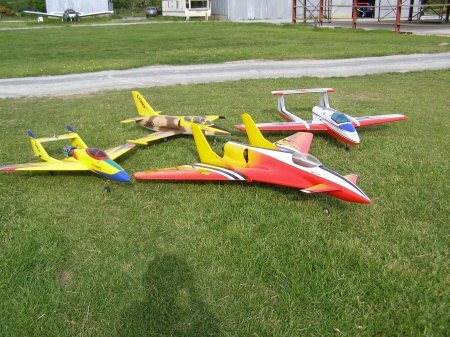 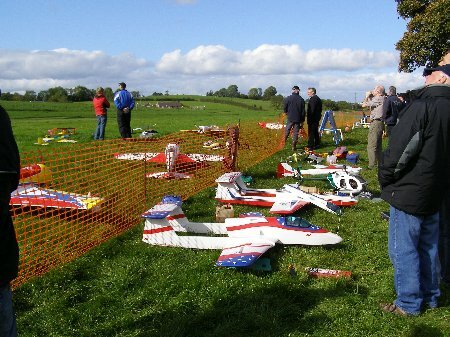 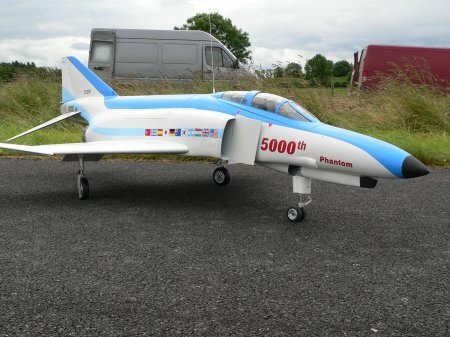 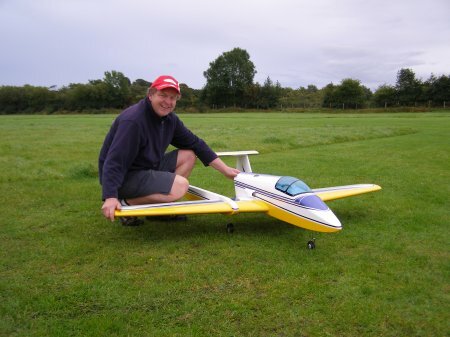 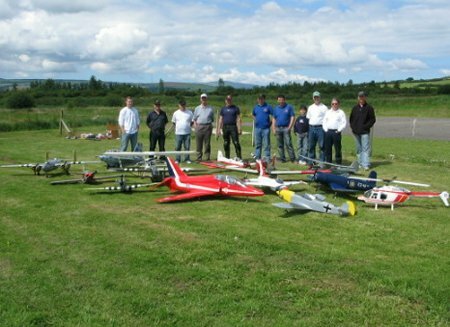 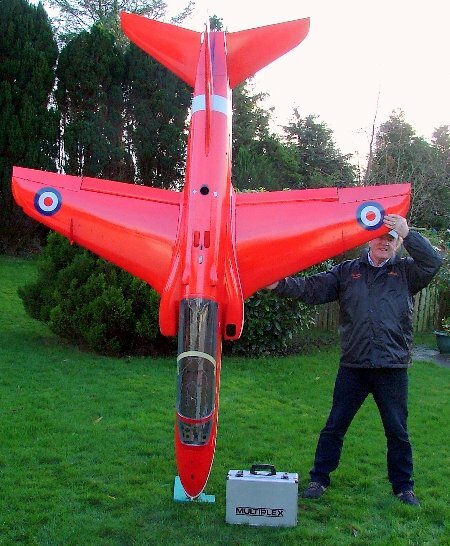 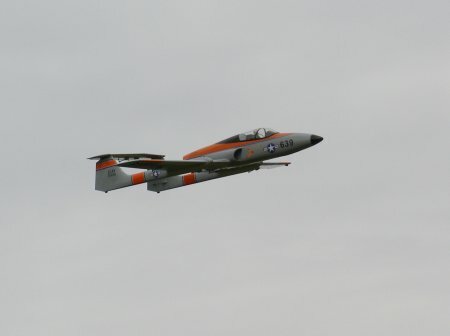 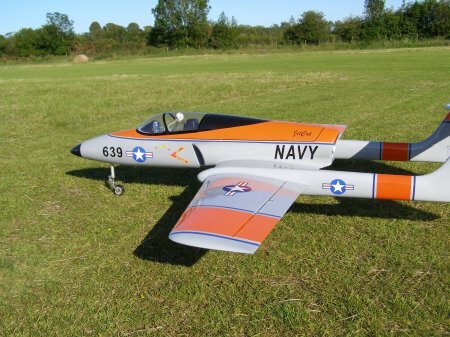 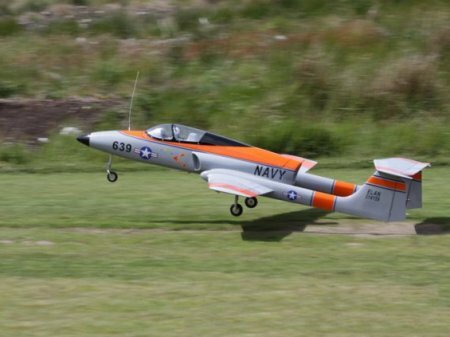 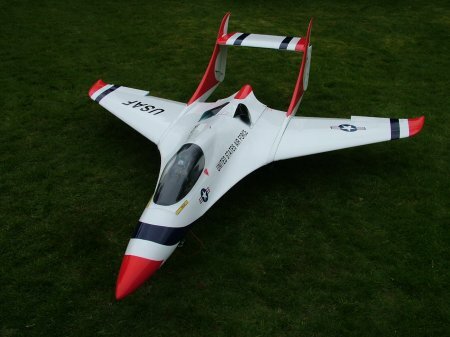 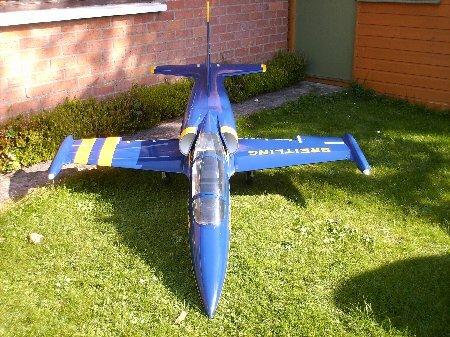 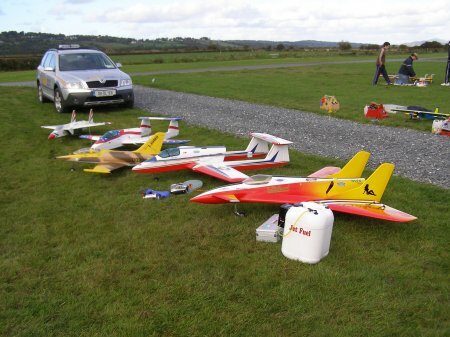 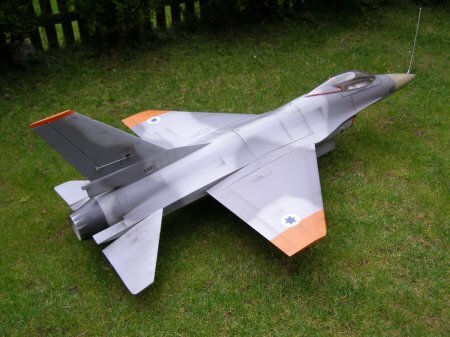 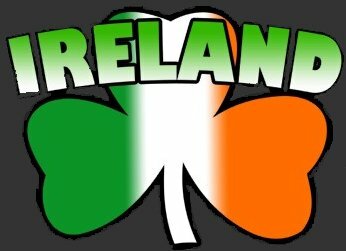 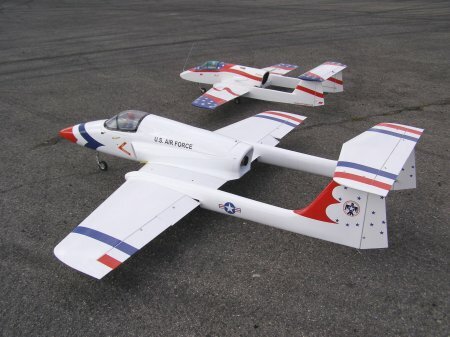 The purpose of this gallery is to build up a time line of model jet flying in Ireland. 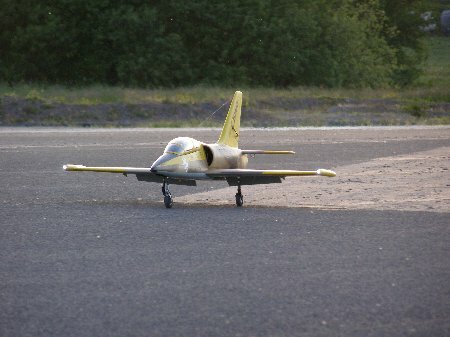 Please send in your new models and first flights, plus any weekly jet flying pics you would like to be included. 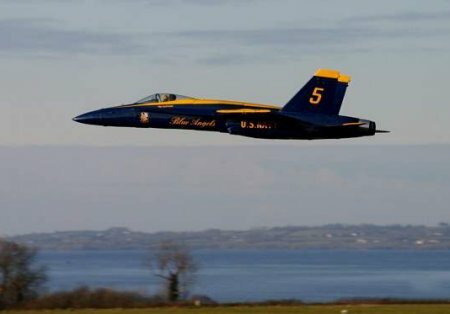 NOTE: Latest pictures will always be at the top. 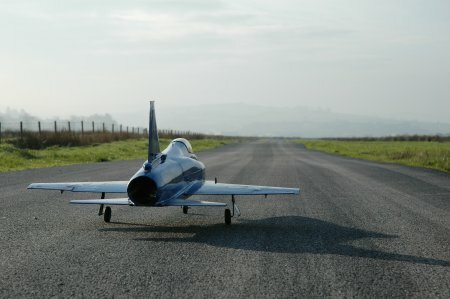 Weather was nice and when the wind turned onto the runway it was Jet perfect! 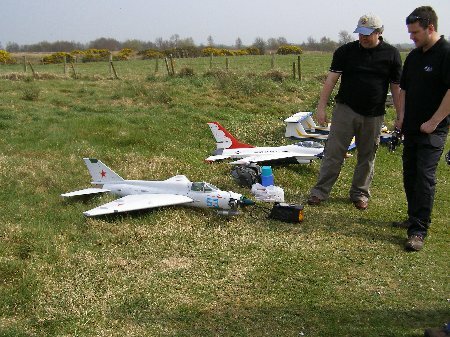 Some more of the Jets on show. 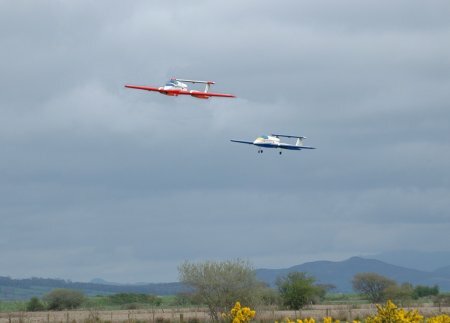 The Big XL and NavyCat out for some Jet flying at North West on Sunday. 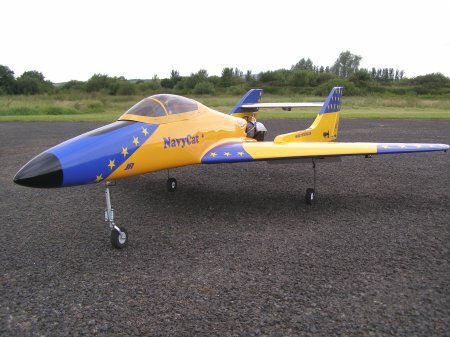 Seamus's NavyCat after 3 successful first flights. 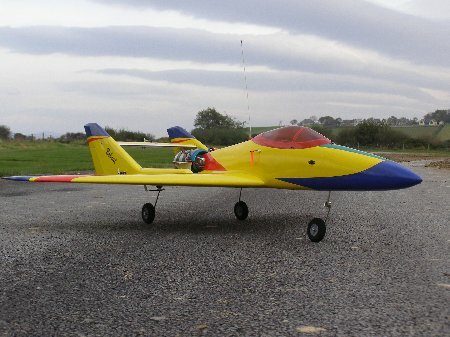 Powered by a Jetcat P60. 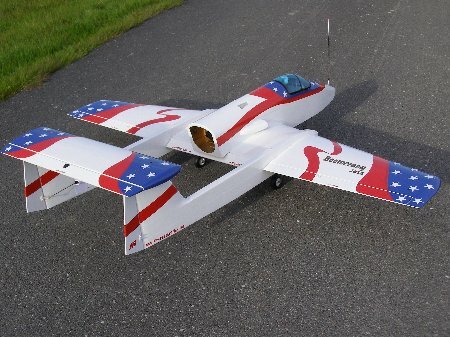 Very smooth and fast in the Air, yet will fly and land very slow. 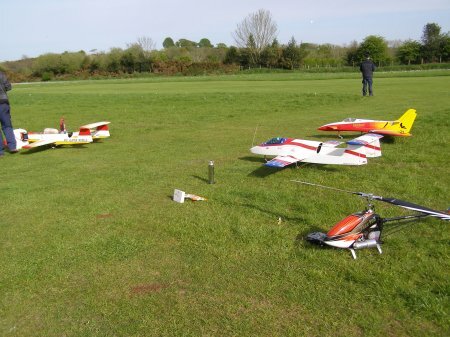 Test flights all went well on Bishpscourts vast amount of Tarmac. 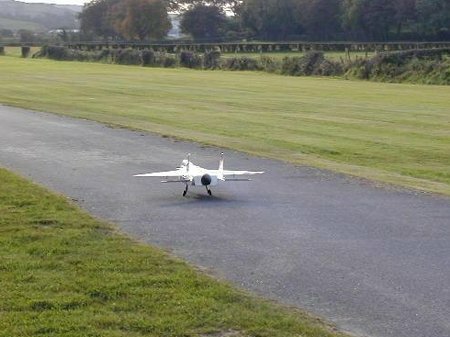 Big aeroplane as can be seen beside the Intro. 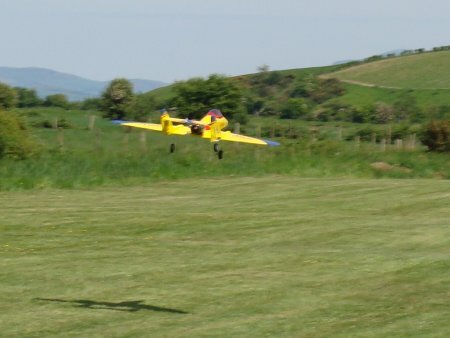 Three Boomer pilots at North Down. 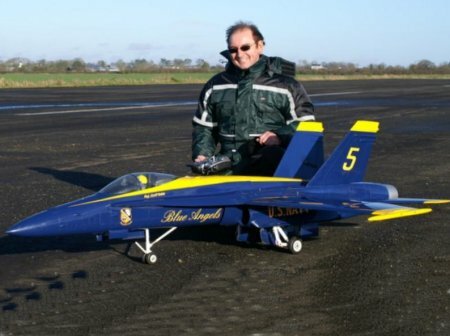 First Jet Flights of the new Year at least it is on Tarmac keeps the feet dry! 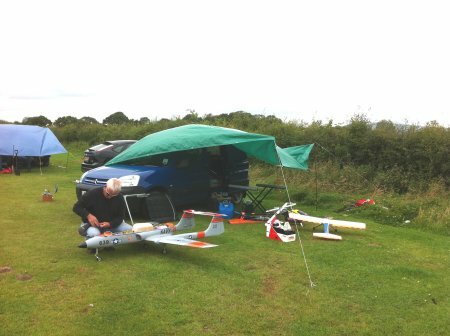 The summer has been spent like below under covers! 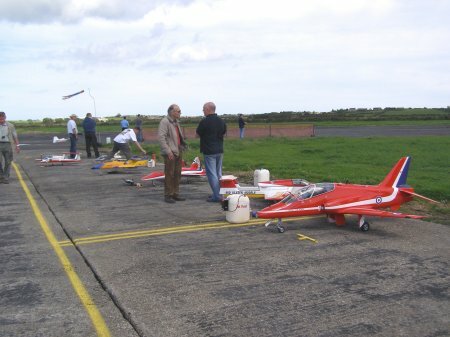 Sprint and Elan line up for a flight. 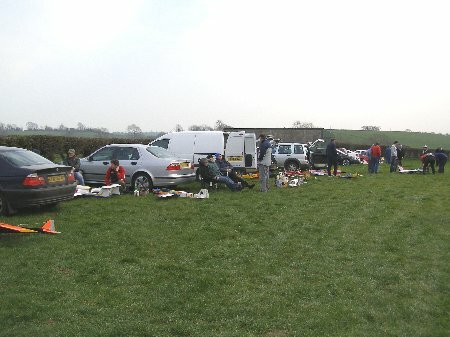 First good weekend in nearlly 6 weeks!! 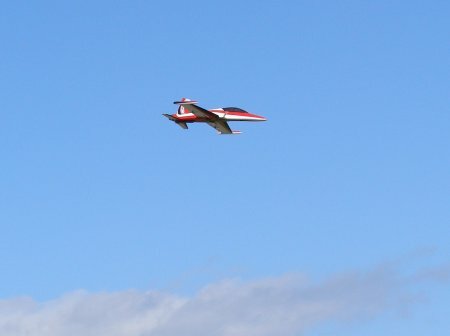 The Big JetCat P160SX powered Airworld Hawk finally had it's first flight, hard to believe it was april when the engine was first run up, weather has been so bad. 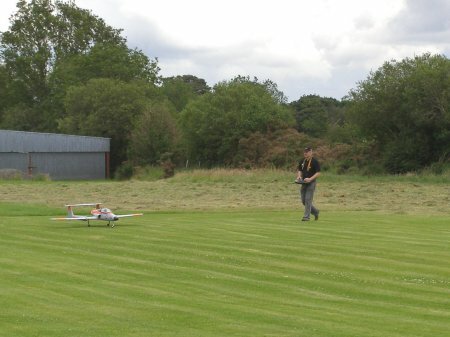 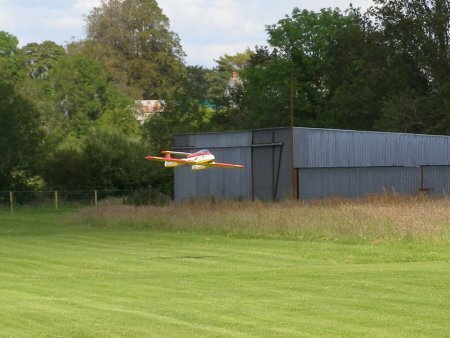 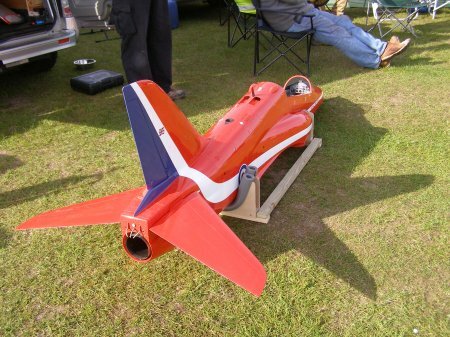 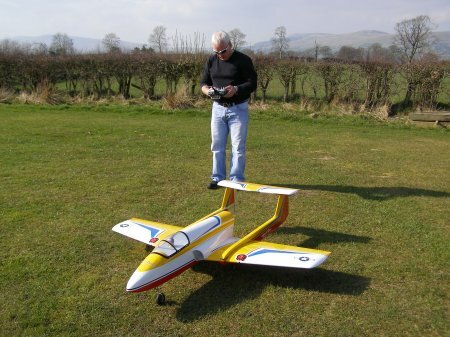 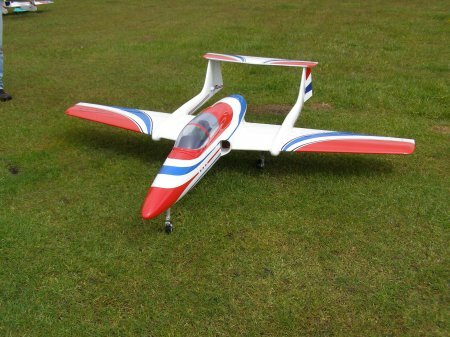 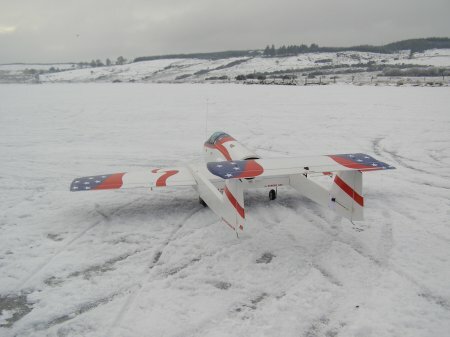 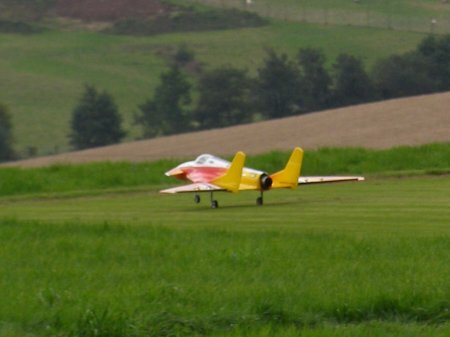 Cecils new Boomerang Elan out for it's first flight, Jetcat P80 with Kero start. 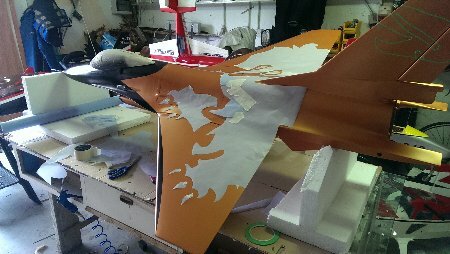 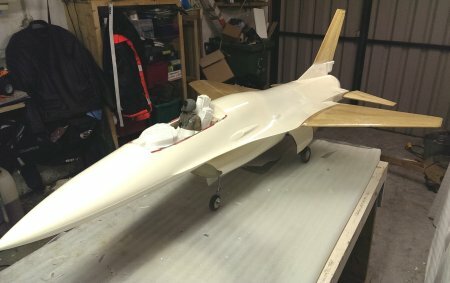 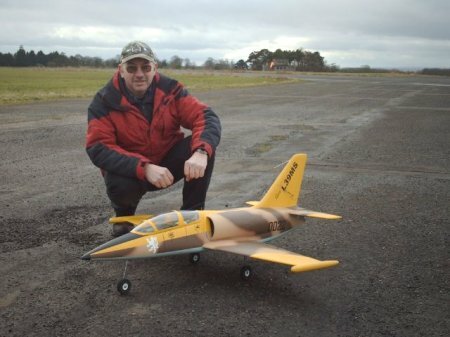 The Hawks are getting bigger and bigger, first was the AMD at 1/7th then the JL at 1/6th now out for it's first engine runs is Roberts 1/5th scale Airworld hawk. 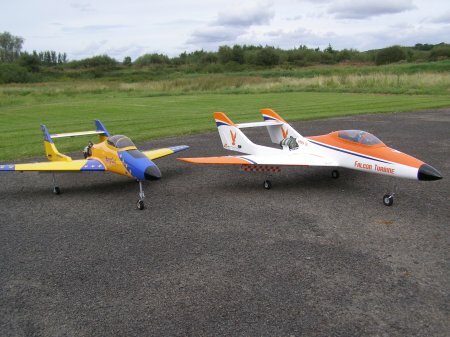 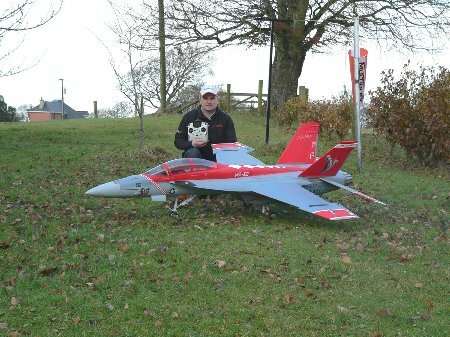 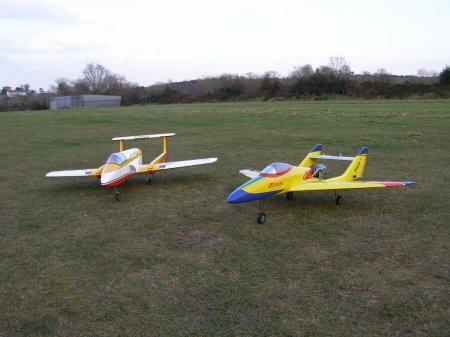 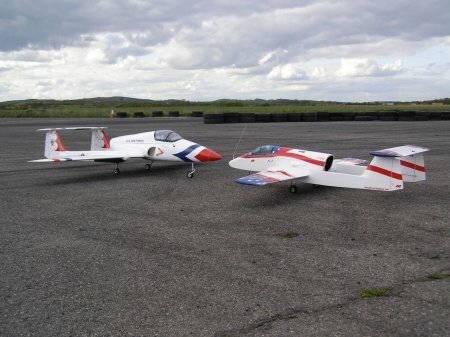 Both the Nano & the Bobcat trying to get some flights clocked up before Offaly Jets at the weekend. 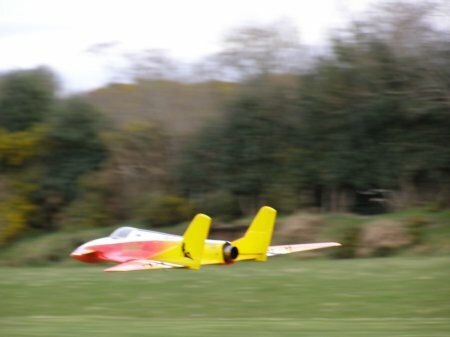 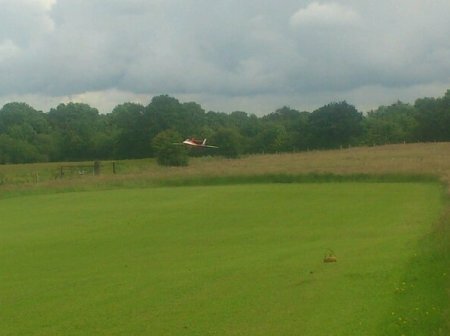 Harry's Flash after it's succesful first flight at Langford. 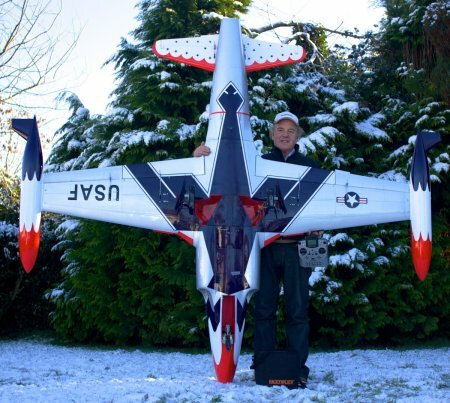 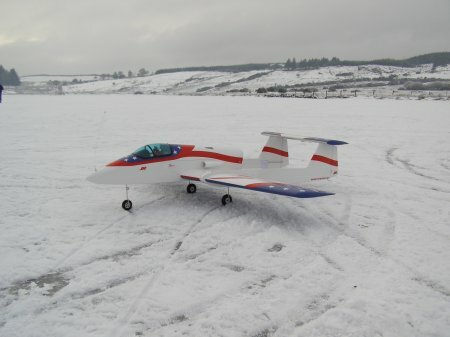 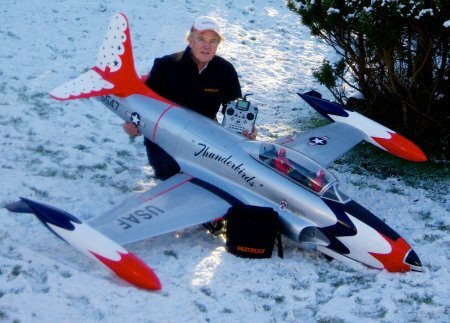 John's superb Feibao T33 taken in the snow, now that is a Jet! 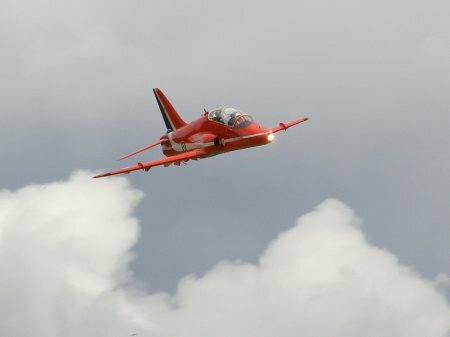 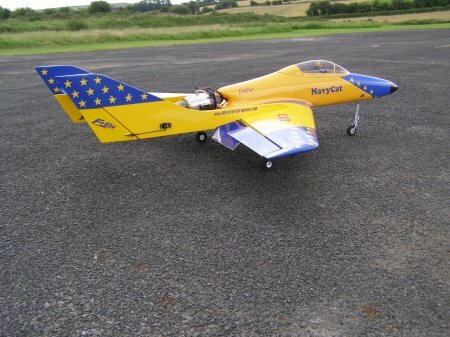 AMD Hawk out for its first flight since 2007 now fitted with a JetCat P60. 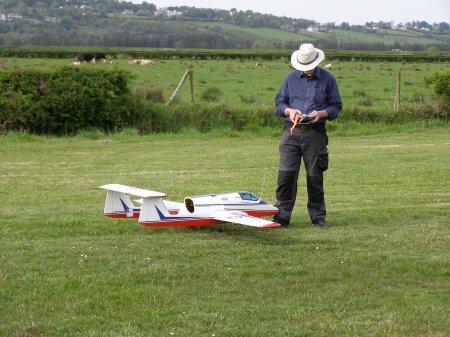 Fly's and lands really well with a bit of reflex on the ailerons. 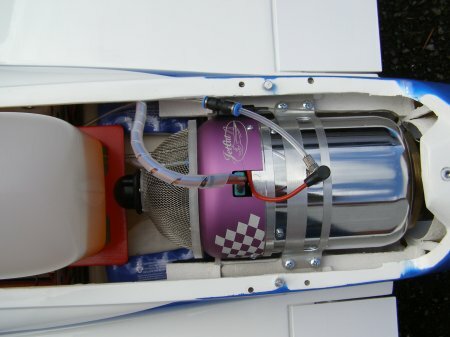 Need to shake up that gas! 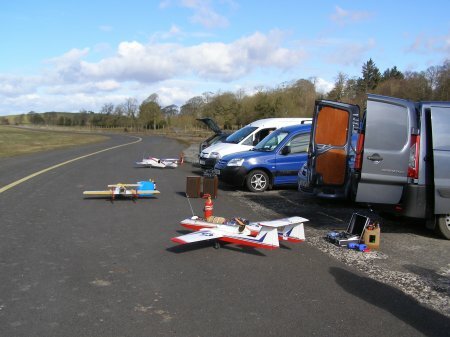 The runway was available early on a Sunday morning in March at the Dragster Racing Day at Enniskillen. 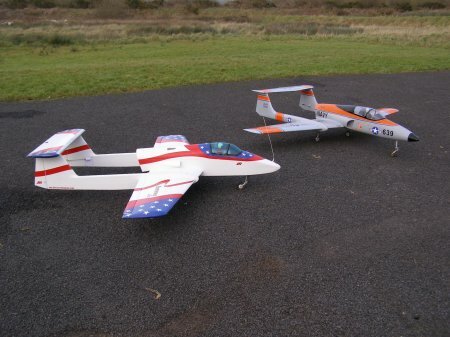 Last flight of the morning session managed to get the three Boomerangs up together, flying time was short but worth the trip to fly from a nice wide and smooth runway! 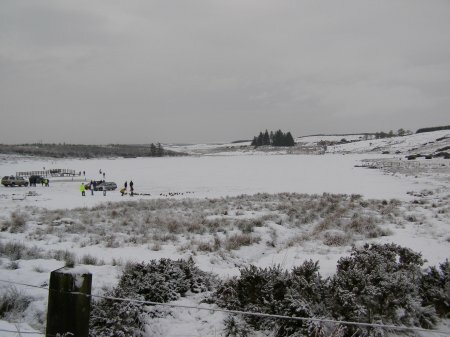 January 2010 seen the coldest winter since 1947, Trusk Lough outside Ballybofey in Donegal was frozen solid, Ice was measured at over 10" thick and made a great runway for Jets. 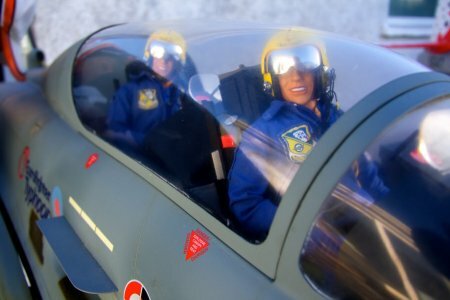 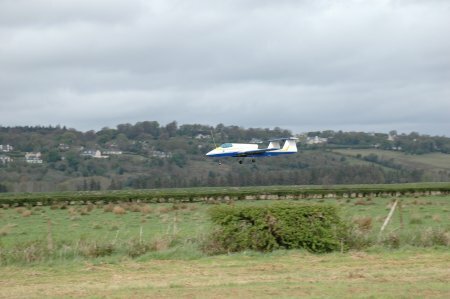 With the Cancellation of Ballykelly at the last minute, some of us decided to do some Jet flying at Letterkenny instead. 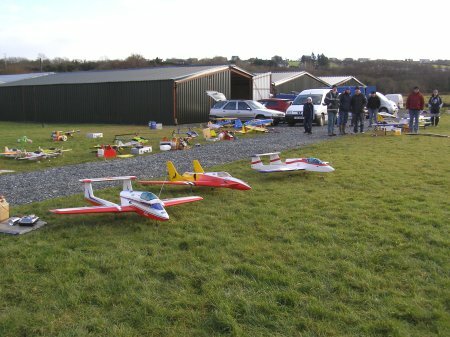 Turned out to be a great days flying and non stop all day right through to dark. 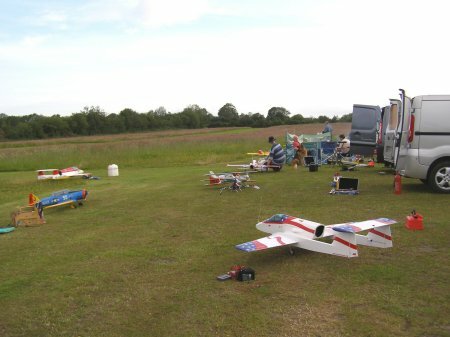 Total of 6 jets (one not shown) flew all day with many gallons of Kero burned ! 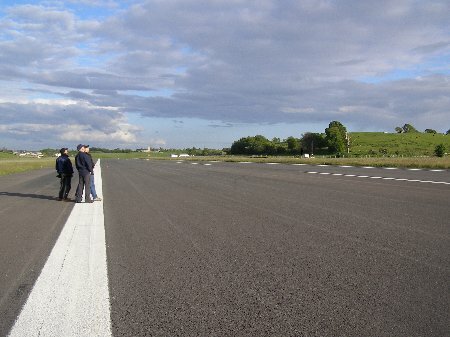 conditions were perfect with a nice wind on the 25 runway. 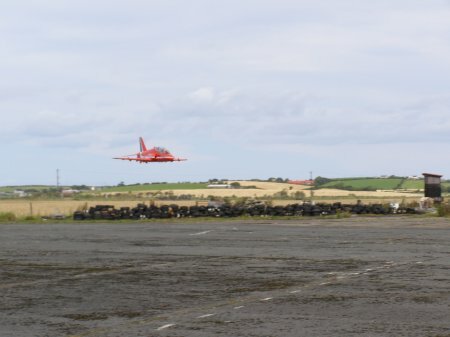 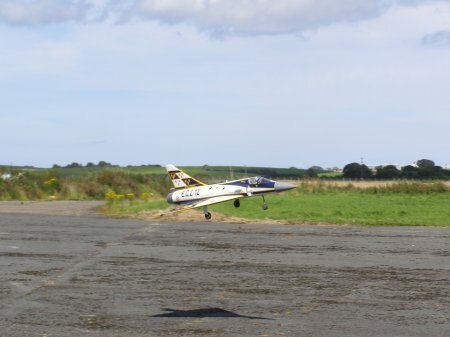 Harry Landing his Boomerang, it hardly had time to cool and it was back in the air again and earned him Top Gun honours with the most Jet flights of the day. 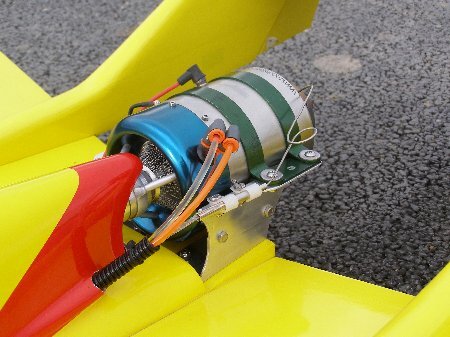 Seamus's Bob Parkinson F15 Ducted fan also flew, powered by a OS91 and Ramtec fan. 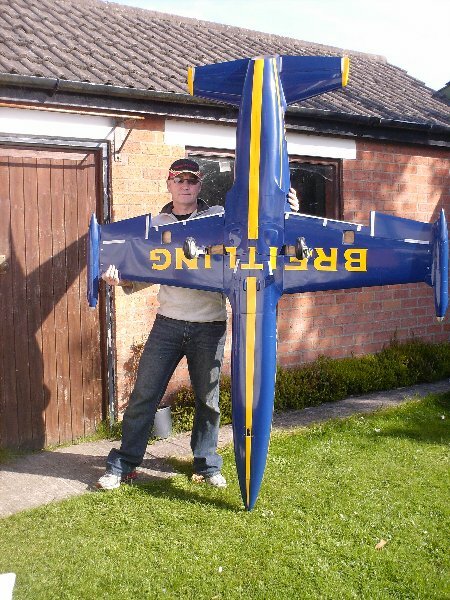 Seamus's blue/yellow boomerang has had a Make over! 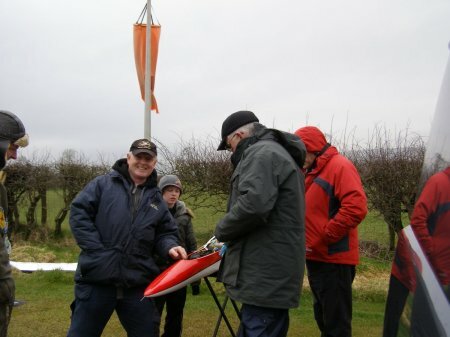 Sunday was very windy and a bit wet at times, but the usual motley crew still got some flying. 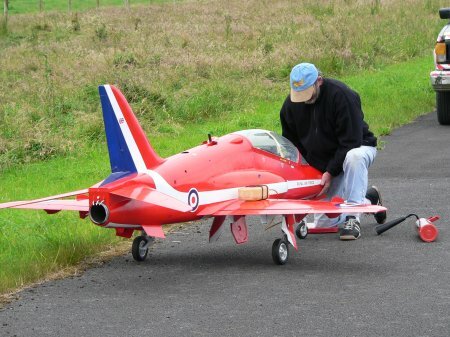 I think Gordon is having a little prayer so that he dos'nt run out of fuel again! 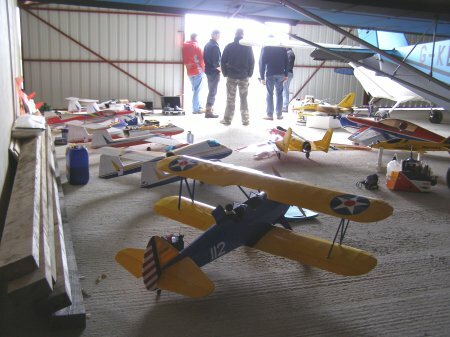 The hangar was very useful and well jammed up when it rained. 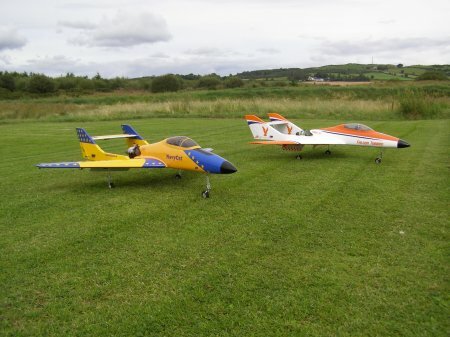 Jets are now getting very common in the Letterkesh club! 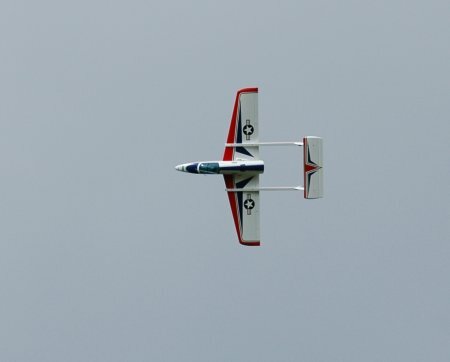 Three boomerangs, an L39 and a Harpoon all flew in the strong wind. 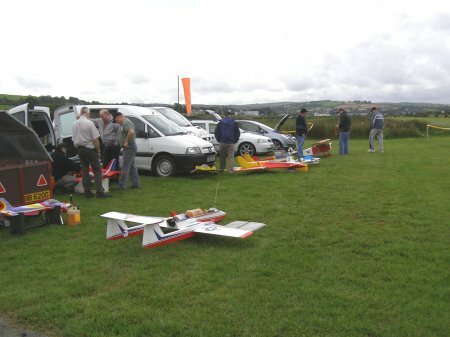 Nice day at letterkenny for The Boomerang plenty of flights clocked up. 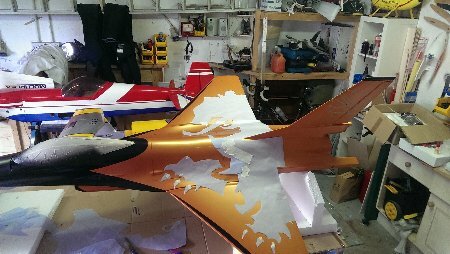 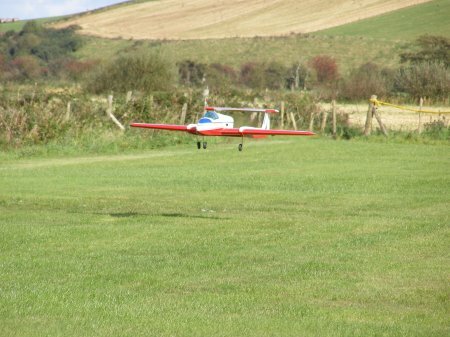 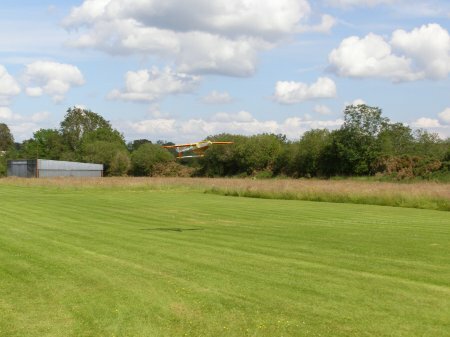 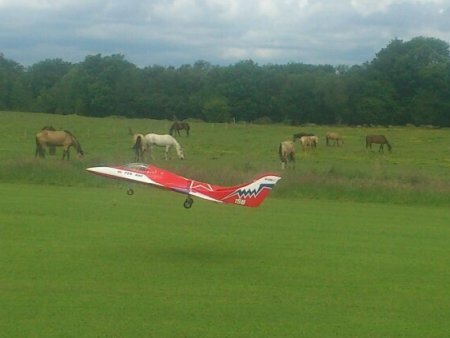 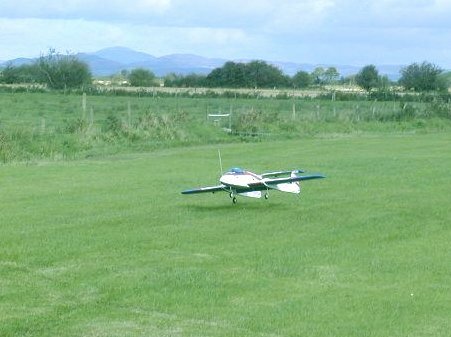 Seamus's Ex Phelim Lundy Boomerang had it's first few flights and all went good, much slower to land than the Bobcat, Wren 54 fitted ideal for short strips. 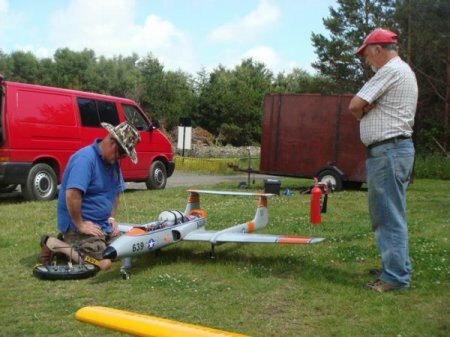 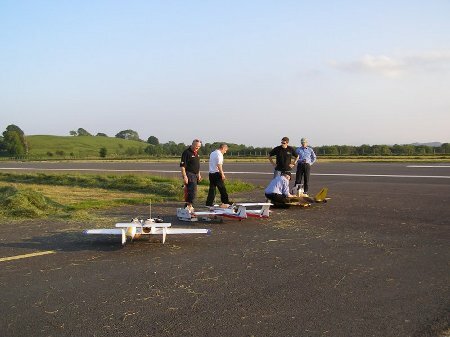 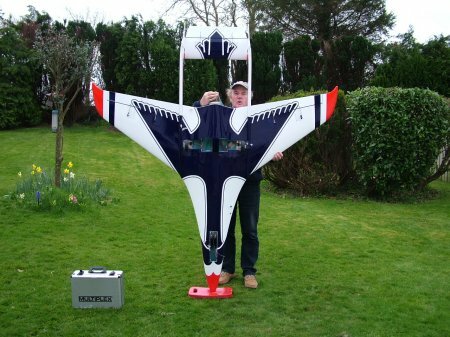 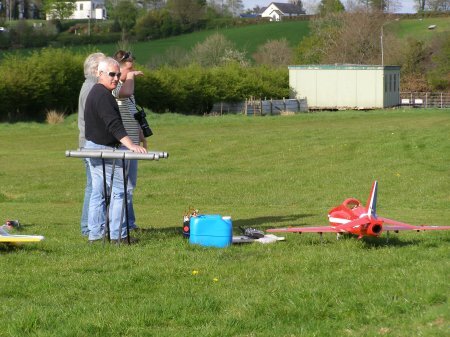 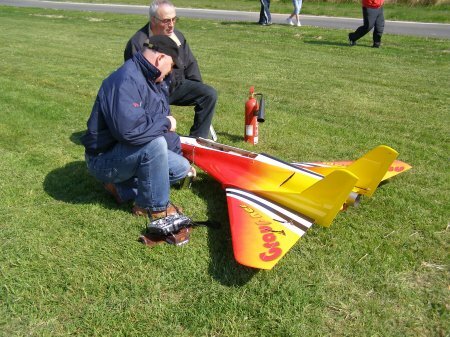 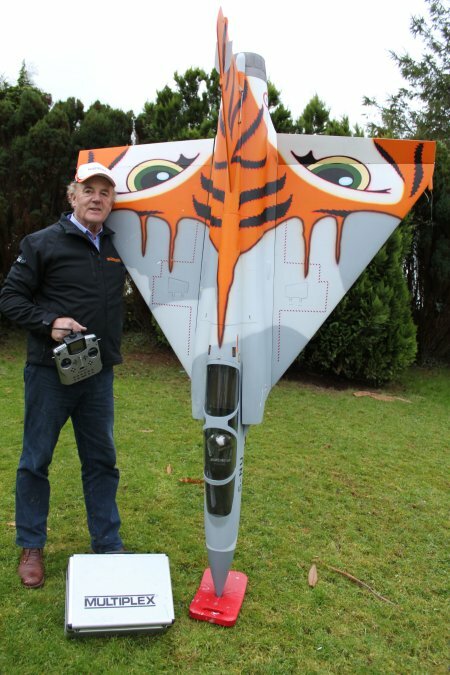 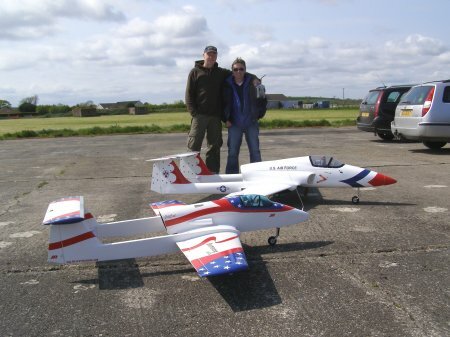 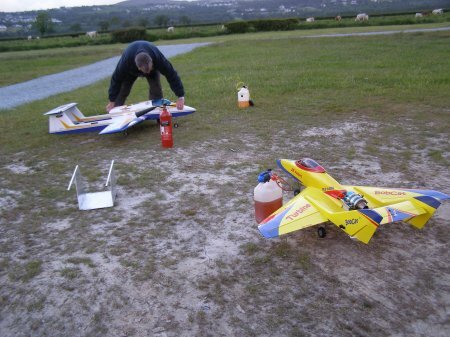 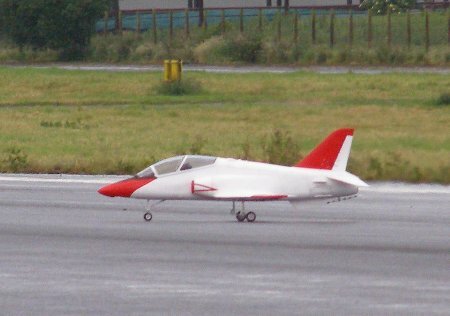 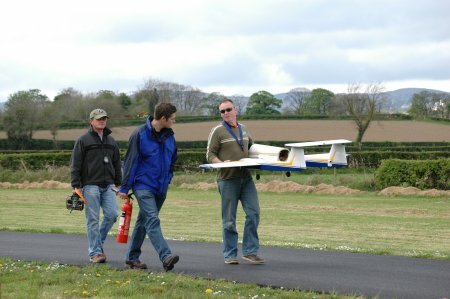 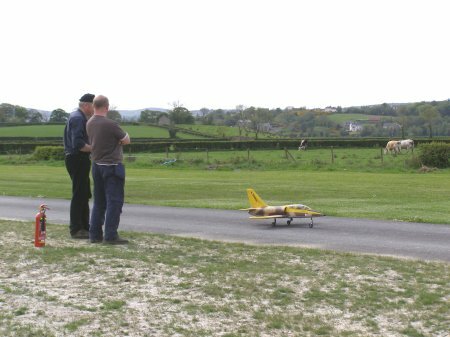 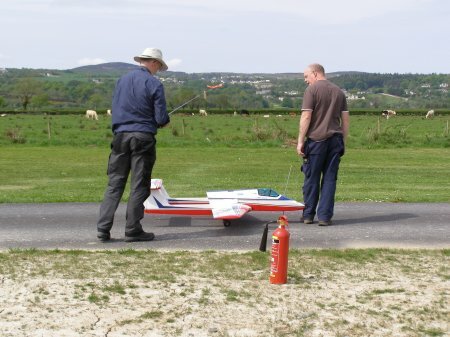 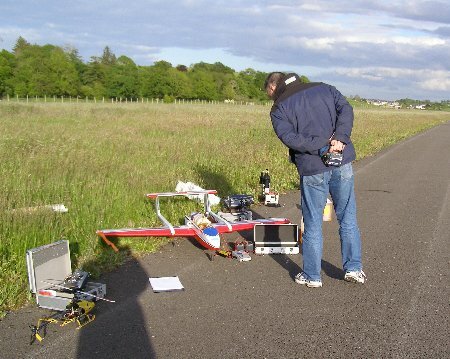 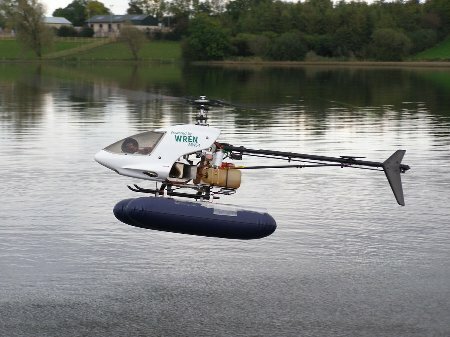 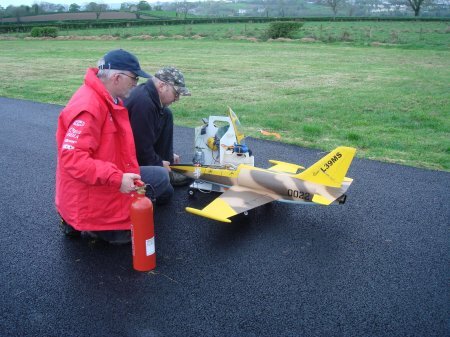 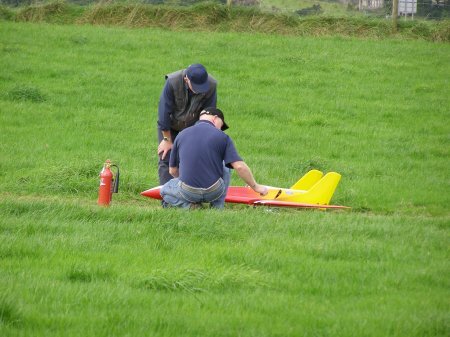 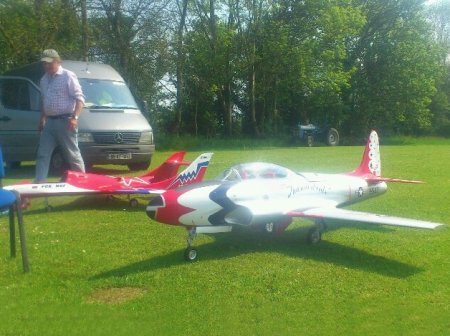 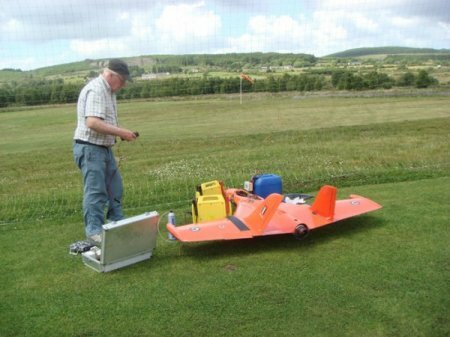 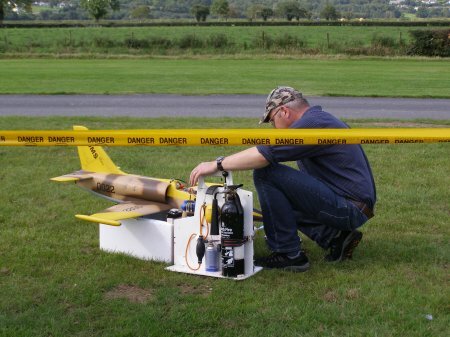 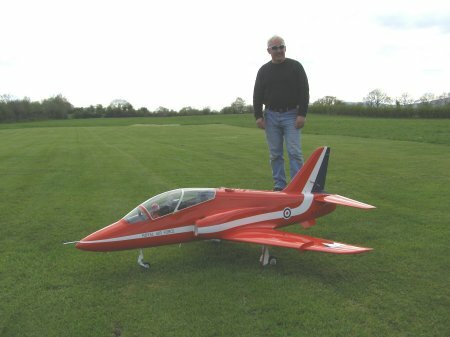 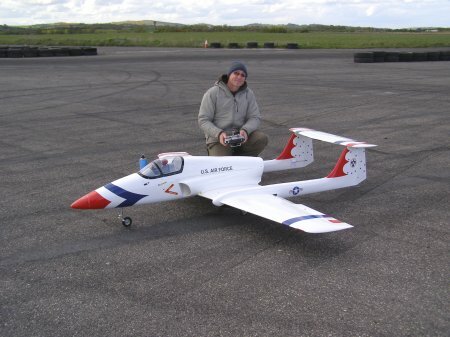 George Irwin brought his new Wren 54 powered Boomerang to letterkenny for it's first flight June 2009. 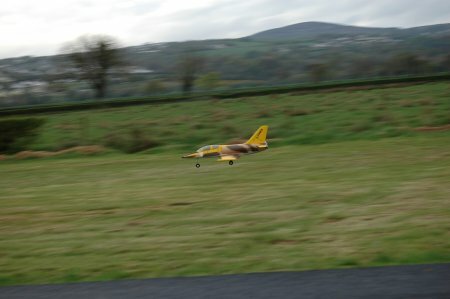 Peter Carson's P120 powered Elan at Grant Capell Flyin Letterkenny April 2009. 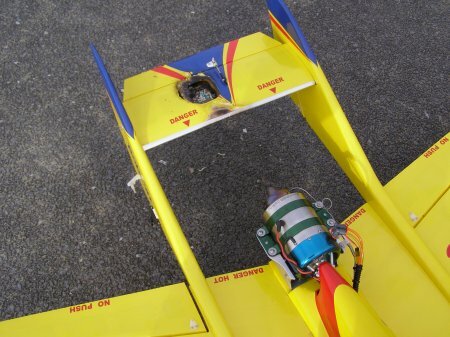 What happens when you try to start with too much gas and no guard on the tail. 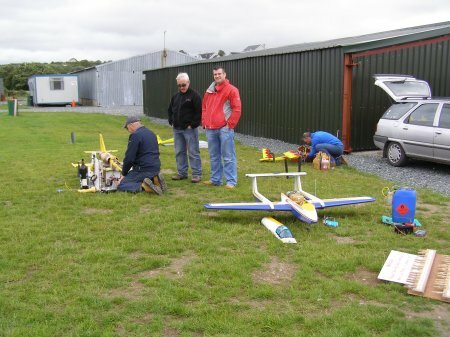 Sunday 1st June 2008 brought a fabulous day for flying at Letterkenny, Conditions were as good as you can get, and everything from shockies to Turbine Jets flew all day. 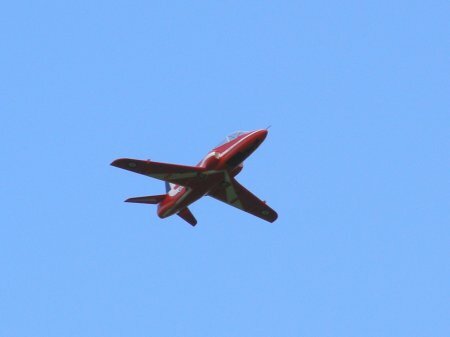 We had four Turbine Jets clock up 14 flights between them, Harry had 7 of them with his boomerang. 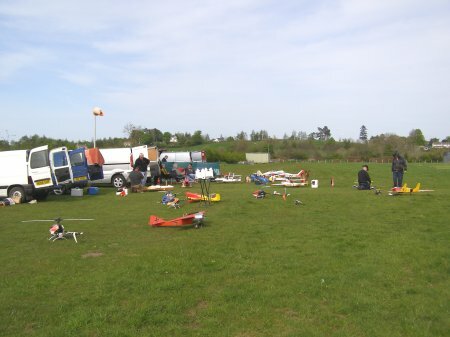 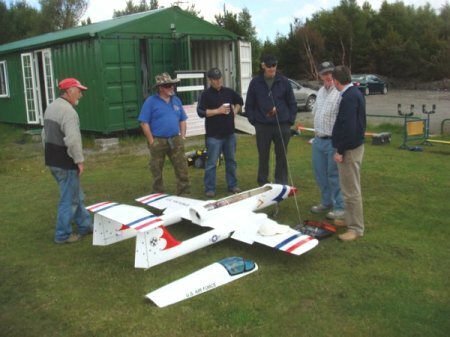 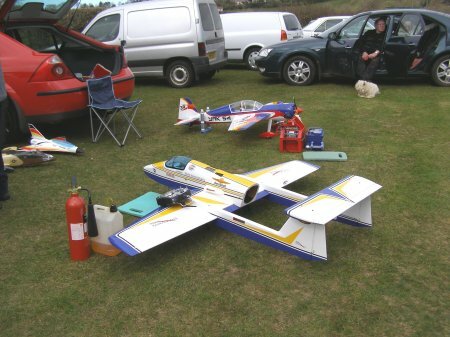 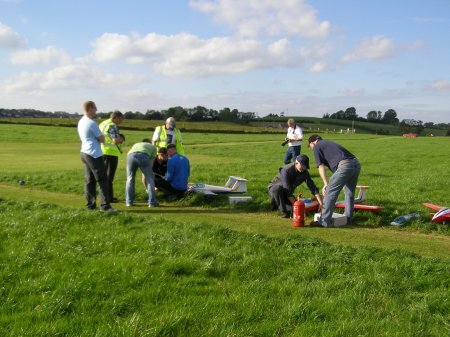 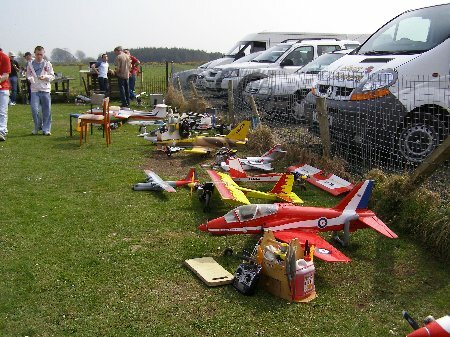 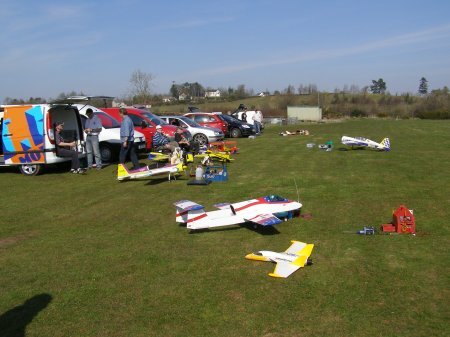 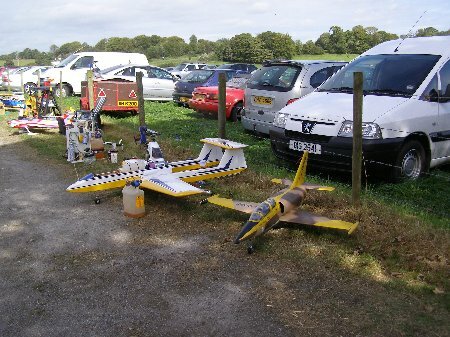 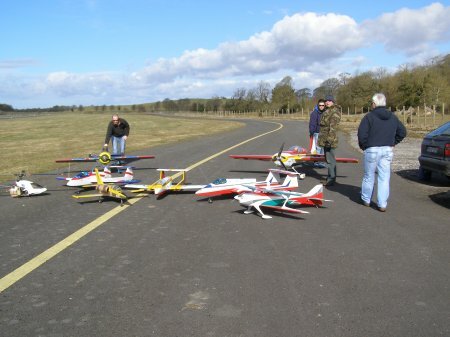 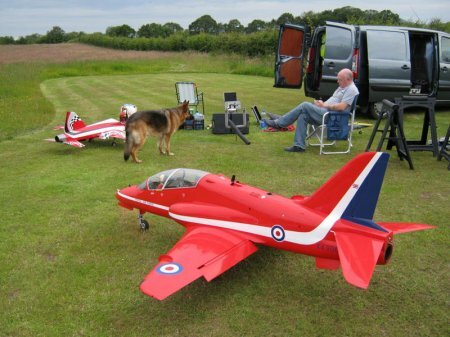 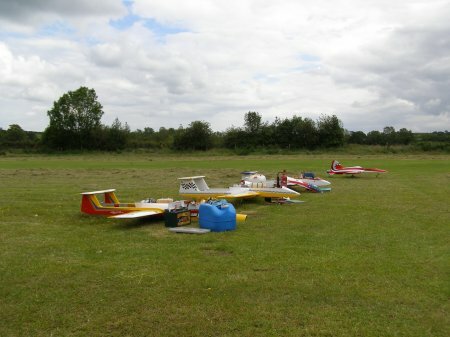 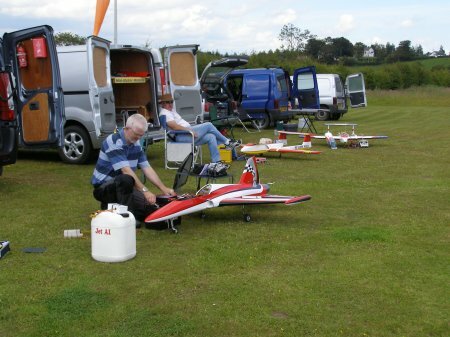 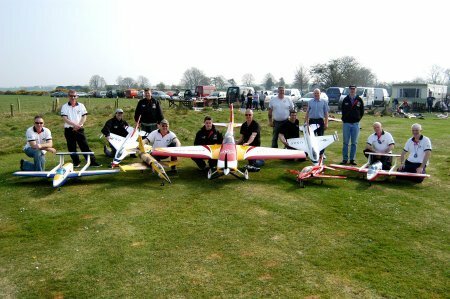 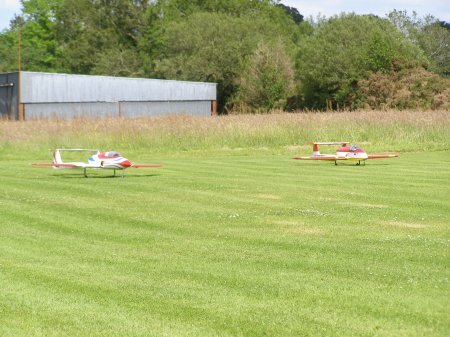 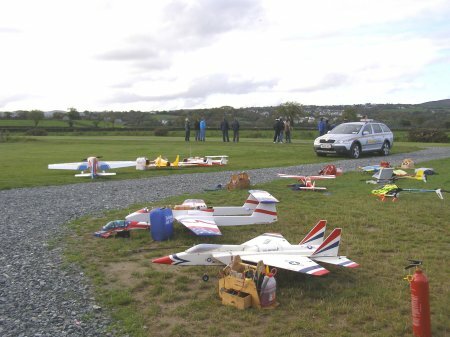 Everyone keen to get as many as possible before the Jet Fly-In next weekend at Midlands MFC. 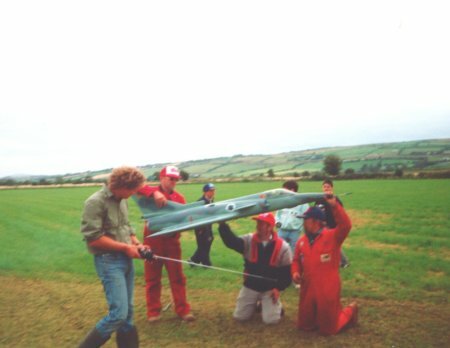 Not something seen much in Donegal a Umberella used to shade the sun. 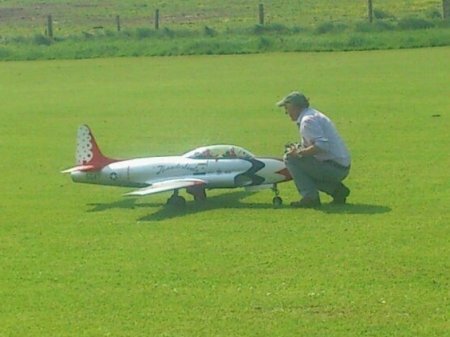 Robert in the middle of start up for the first flight. 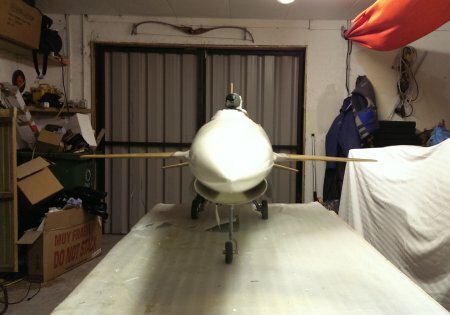 The Harpoon is fitted with a Wren 54 with thrust vectoring! 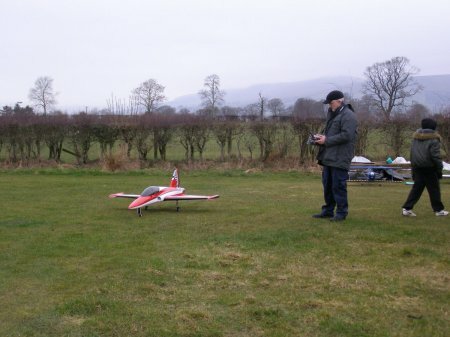 First flight went very well despite it being very windy. 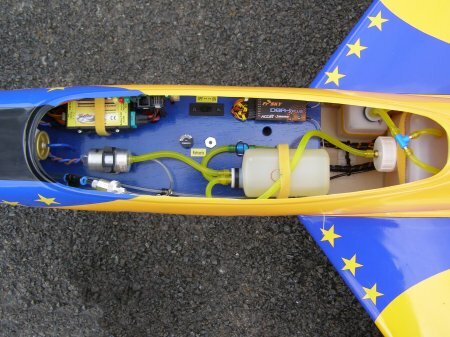 The insides of the Harpoon. 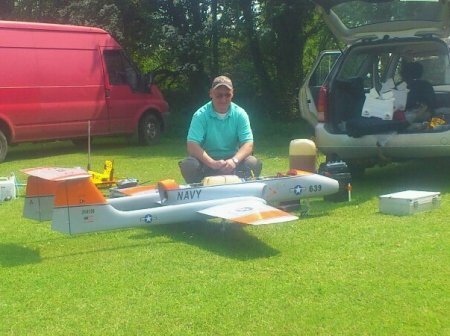 Robert has fitted it with Spektrum 2.4Ghz using the AR9100 which has dual battery inputs and 4 receivers with a data log. 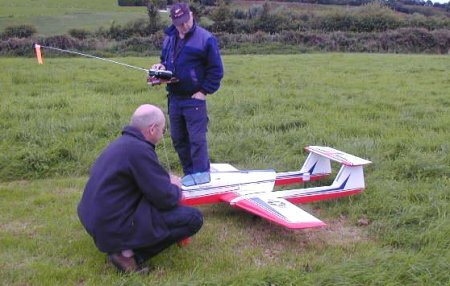 The data log fitted is very clever as it logs any signal losses or fades found, and they can be display after the flight for each reciever. 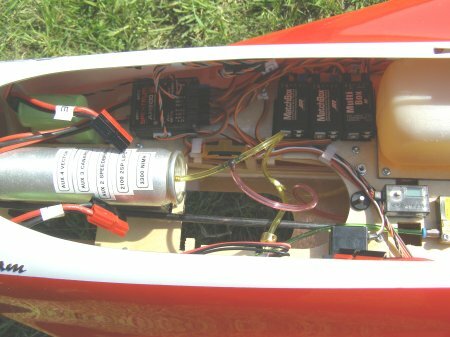 He is also using three JR matchboxes to configure the servos. 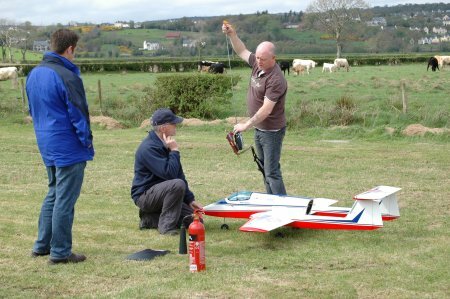 First jet flying of the year at letterkenny, weather was superb, Gordon brought his Wren 44 powered Savex L39 along with his turbine heli, Harry brought his P80 powered Boomerang. 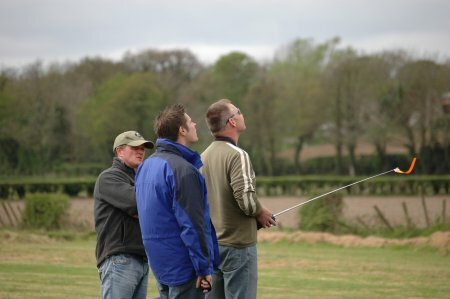 He's the one below in the funny hat ! 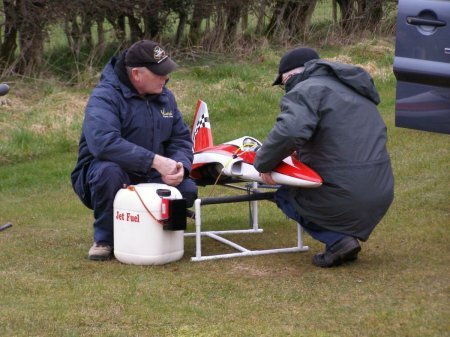 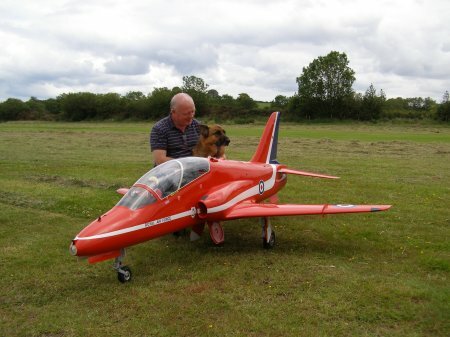 Seamus & Stanley getting the Jetjoe powered AMD Hawk ready for it's first flight. 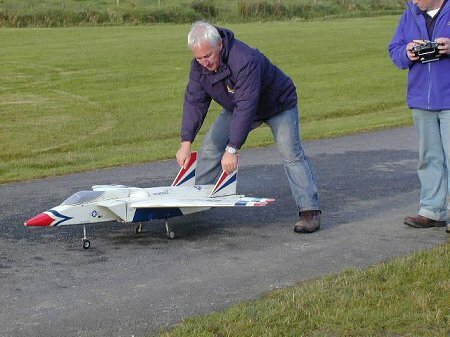 Nice to have a bit of Tarmac to fly off for a change.